At La Velocita we celebrate cycling - Join us as we continue to build our community. Founded by Mike Boudrie in August 2014, La Velocita is a cycling website run by real, everyday cyclists. We're independent, we're not controlled, owned or run by big business. We're everyday people that want to share our love for riding. It's not about being the fastest or the strongest. It's not about winning the race. It's the journey, the experience, the friends, the people. People make cycling what it is. I'm a Melbourne based cyclist with a true passion for all things bike. I want La Velocita to bring you high quality information, to inspire you to ride and to share everything that make's me love to ride. James describes himself as a 'pointy-bonebag hill climbing monster'... he's also got a certain unhealthy competitive spirit going with Dave Edwards. What matters is that he's a solid rider and has a great way with words. Watch for his opinion and stories across La Velocita and With All I Have. Glen knows bikes. 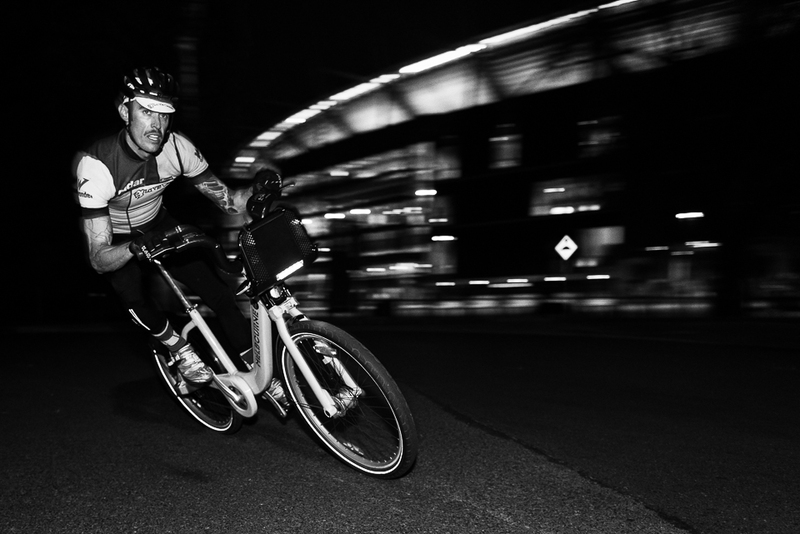 He's taken on some epic challenges including riding over 700km in 24 hours. Glen provides us with quality reviews of bikes and equipment, he's got an eye for detail and will bring you the full story to help you with your buying decsions. Regular Aussie battler, making his way through life with grit and tenacity. That and with a large mouth and lots of tattoos... Founder of 'With All I Have', Everester and always looking to push the limits just a little further. It's impossible to not be caught up is Katie's love of cycling and positive approach. Riding as part of Ambulance Victoria’s Bicycle Response Unit, a member of SKCC, and squeezing riding and racing around life, Katie is hooked on all that riding brings, friends, challenge, travel and exercise. Brendan specialises in our climbs and guides sections. A seven time Everester and Hells 500 rider Brendan loves to choose his own epic adventures. Brendan brings you quality adventure rides, guides and reviews. Andrew is a talented Melbourne based photographer that brings you many of the stunning images you'll see throughout the site. Contact us if you need help with producing images for your products. Lana is our South Australian based photographer, she's a passionate cyclist that loves the CX circuit. Watch out for her this season.. Lana also works at Cycle Closet and has put together some fantastic images for them. Riley is a passionate cyclist, photographer, and content creator based in Melbourne. He has an eye for style and a different take on the pro peloton. You'll catch him climbing trees at cycling races. Riley is the founder of 'The Everything Online' a brand new lifestyle magazine covering everything from photography, staying active, street style and more. Tom is our pro-racing analyst. He brings some of the best analysis in the the racing scene to La Velocita together with interviews and insights. Tom is also a keen rider and provides top reviews and comment on kits, bikes and equipment. Kate is a Master of High Performance Sport and NRS Cyclist for Specialized Women's Racing. Kate helps people discover their potential and work toward their goals. Whether through coaching, mentoring or sharing her professional knowledge, she is passionate about improving performance through scientifically based, ethical practices. Lori is a passionate sports scientist and nutritionist who is on a mission to promote optimal health for all through evidenced based research. Lori is the founder of Raw Energy Nutrition and consults to both elite and age group athletes, and is a trusted source of information for a number of organisations; in the area of public health education. Gareth Huth has been involved in bike shops, cycling and wheel building for close to ten years. Want gourmet wheel? Gareth is your man. The guys at EC help us with product reviews, technical insights and product advice.